Housed in Summit’s beautifully historic Opera House, Winberie’s Restaurant & Bar offers a comfortable, casual dining experience where the richness of true American flavors blend with the quality of a classic neighborhood restaurant. 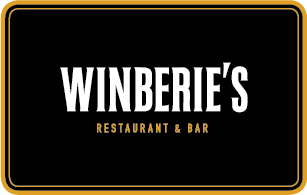 At Winberie’s, we’re famous for blending our shareable plates and small batch brews with your everyday occasions. Join us for lunch, cocktails, dinner and Sunday brunch. Long ago, our building originally housed shops on the ground level. Upstairs, an 800-seat stage hall featured vaudeville and became Summit’s very first movie house. The rear section contained a coffee shop, reading rooms, meeting hall, and resort-quality sleeping rooms…the basement boasted sixty-foot bowling alleys. We invite you to join us each day for “Happy Hours”. We kick things off daily at 3:30 until 6:30 and then start again at 9:00 p.m. until the restaurant closes. It’s a great opportunity for you to enjoy food and drink specials with us.